I've just updated my MacBook Pro Retina Early 2015 to Mojave via Apple Beta Software Program. Everything works smoothly except the Trackpad. Tap with one or tap with two or three fingers work as usual, but click with two fingers became extremely hard. I need to push my two fingers with more than usual pressure to make it work. My trackpad settings are shown below. How can I make click with two fingers as soft as before? Thanks. 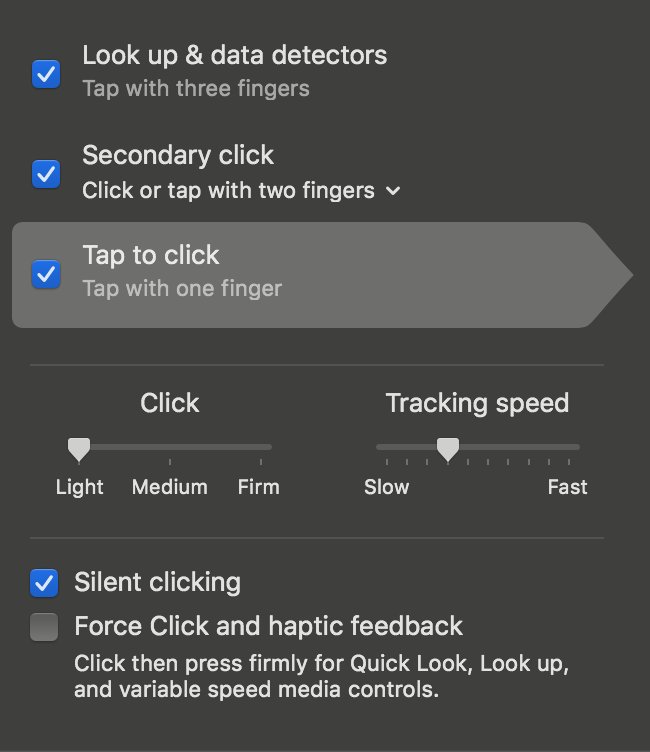 Browse other questions tagged macbook trackpad beta mojave . Triple finger tap for middle click?